The first time Rick Bennett saw Jeremy Welsh play, he saw a kid who stood out -- and, in Bennett's words, "not in a good way at times." Welsh had just made the move from Junior B to Junior A with the Oakville Blades in the Ontario Junior Hockey League. Bennett, then an assistant coach with Union College in Schenectady, N.Y., saw a bit of "an unknown," "a fat kid with long hair." "His feet were a little choppy," said Bennett, who will enter his second season as Union's coach this fall. "We just kind of looked through a lot of that stuff. We saw the intangibles he had." Three years later, Welsh's 27 goals ranked third in the NCAA, as he helped lead Union to its first berth to the Frozen Four, played in Tampa. Less than 48 hours after his team was eliminated by Ferris State, Welsh signed a contract to play with Carolina and made his NHL debut in the Hurricanes' season finale on Florida's other coast against the Panthers. Talk about a wild weekend. "It was a pretty crazy couple of days. I packed a bag with Union and they all left and I stayed and came home a few days later. Definitely a pretty big whirlwind for a weekend." 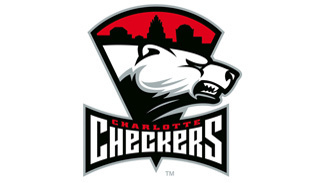 When the Charlotte Checkers, the Hurricanes' American Hockey League affiliate, begin training camp on Saturday, Welsh will be in the fold with, among others, Carolina regulars Justin Faulk and Jerome Samson under the tutelage of long-time NHLer Jeff Daniels, now Charlotte's coach. Jeff Skinner was also assigned to Charlotte, but with the Hurricanes' consent has remained in the Toronto area to train and could join the Checkers at a later date. Several teams pursued the undrafted Welsh as his college career wound down. Without going into specifics about his discussions with Hurricanes GM Jim Rutherford and vice president of hockey operations Ron Francis, Welsh said he liked the future role they outlined for him in Carolina. "A major part of it was they kind of saw me playing the same role I saw myself playing," Welsh said. "Coach Kirk Muller had a seen tape of me. He kind of addressed what he expected from me and what he saw me doing to contribute to the team. To have a coach identify you as a player, likes your style, that's a big thing, too, obviously." Welsh's game sounds a lot like Skinner's -- neither is a great skater, but both have good hockey sense and get into the right areas to score goals. At 6-foot-3 and 200 pounds, Welsh is considerably bigger -- not to mention older at 24 to Skinner's 20 -- but whether he can produce at the NHL level the way Skinner has will prove the test of Welsh's development. Bennett said Welsh's strengths are the release on his shot, his ability to receive the puck in stride and get off his shot with velocity, along with his knowledge of where to be at the right time on both offense and defense. "We wanted to see how he did in the playoffs, and he was MVP," Bennett said of Welsh's recruitment when he was with Oakville. "He's 'a reason' type player. There's a reason you win championships, and he was the reason." Union, with just 2,200 students, was founded in 1795 and played its first hockey game in 1904. The program has 66 seasons of hockey in its history, but Welsh's second season marked the first time the school made the NCAA Tournament; last season was the Dutchmen's first trip to the Frozen Four. Academics were important to Welsh and his parents in his college decision, and he will end up earning his degree in economics. He can put that degree to use in investing the $92,500 he received as a signing bonus from the Canes. In a quirk, the website CapGeek.com calculated that Welsh's pro-rated annual salary for last season was $17.9 million based on playing one game with that bonus. "It's a small liberal arts school in New York," Welsh said of Union. "It's a program on the rise. I was fortunate to kind of get there, experience the three best years we had. Each year we did something new. It's just a hard-working culture." Welsh fit in with that hard-working culture, Bennett said, making a big jump between his sophomore and junior year (his last) when Welsh spent his summer in Western Massachusetts at a camp run by renowned power skating guru Paul Vincent, who worked for Chicago when it won the Stanley Cup in 2010 and now works for Florida. This summer, after the hubbub of his hockey season had subsided, Welsh spent time at Carolina's prospect development camp and learned about what he needs to do to make it in the NHL. He realizes that players are bigger and stronger and said the League is more of a "poise game" compared to the NCAA. "Be in your lane, handle pucks, make the right reads," he said of what he'll need to do to succeed in the NHL. "In the college game, guys are kind of flying around out of control. There's not as much rhythm to the game necessarily. [The NHL] is more about puck possession and playing it to the right place, so I enjoyed that. I just have to get faster and a little stronger to take it to the net on the big [defensemen]." It's a process he'll soon begin in the AHL.